This year brings both exciting and sad news to fans of the Swedish gothic love metal band HIM. After more than 26 years on the road together and one successful album after another, the illustrious career of His Infernal Majesty is drawing to a close, with one last farewell tour. 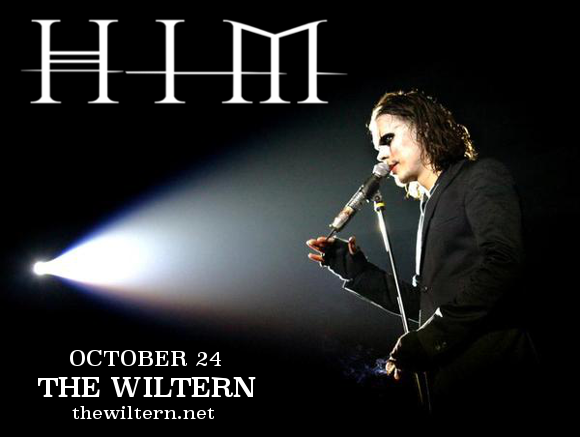 This is your LAST CHANCE to see HIM – catch them at The Wiltern on Tuesday 24th October 2017! Tickets in high demand, get them while they last. Don’t miss out on the legendary metal band’s last ever tour – book your tickets to see HIM now! !